TFN have direct access to some of the best growers, producers and processors in Australia and we have built strong partnership relationships within the TFN PartnerUp Grower programs to service our customers efficiently. Brushed potatoes and pumpkin from the Atherton Tablelands in Far North Queensland. Potatoes from Victoria and New South Wales. Onions from South Australia, Tasmania and Queensland growing regions are all utilised in their peak seasons to ensure our customers receive the best quality produce. Beef, lamb, pork, chicken and small goods are sourced from market leading producers and processors throughout Australia to meet our customers’ needs. TFN’s dry goods and general merchandise range is serviced by a professional network of suppliers. Our Logistics partners provide the best service possible to enable us to service domestic and export markets efficiently. 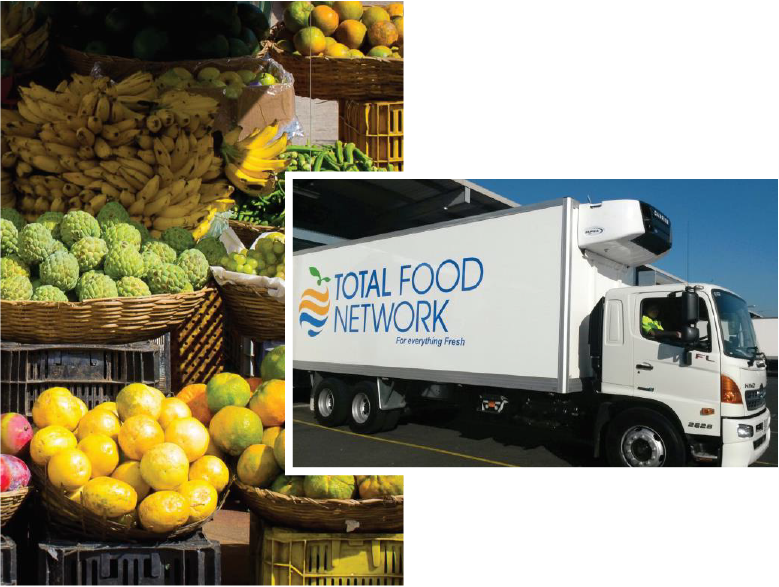 Our supply chain network provides access to and from Queensland, New South Wales, Victoria and Northern Territory growing regions, Central markets and distribution centres domestically and PNG.